Put the grain into the Grain Steeping Bag. Place it in water, turn on the heat and bring the water slowly up to 160F. Turn off the heat and let it enjoy the hot bath for one hour. Remove the grain bag (allow most of the water to drip back into the stock pot- but don’t squeeze). Stir in dry malt extract (DME) and/or liquid malt extract (LME). Now, the content has a new name "wort". Bring the wort to boil. Be careful not to boil over. Add Bittering hops and Aroma hops accordingly. Clean your fermenter with food grade sanitizer. Cool down your wort with ice bath or chiller. Drain and pour your wort into fermenter. Add 2 gallon of distilled water. Wort temperature must be below 80F before adding yeast. Use hydrometer to take the original gravity. Snap the lid tightly and put the airlock in the hole in the lid. 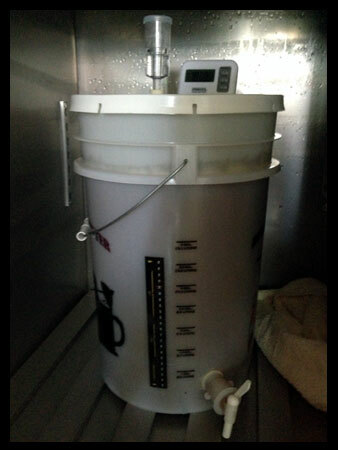 First fermentation begin. Let the beer ferment in the fermentation bucket for a week. In the first few days, bubbles will come out from the airlock frequently as the yeast is working actively. This activity will slow down gradually. 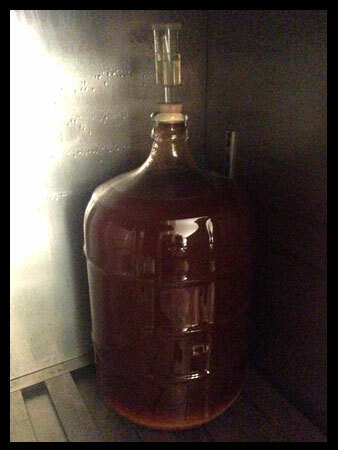 A week later, transfer the beer to a carboy for second fermentation. 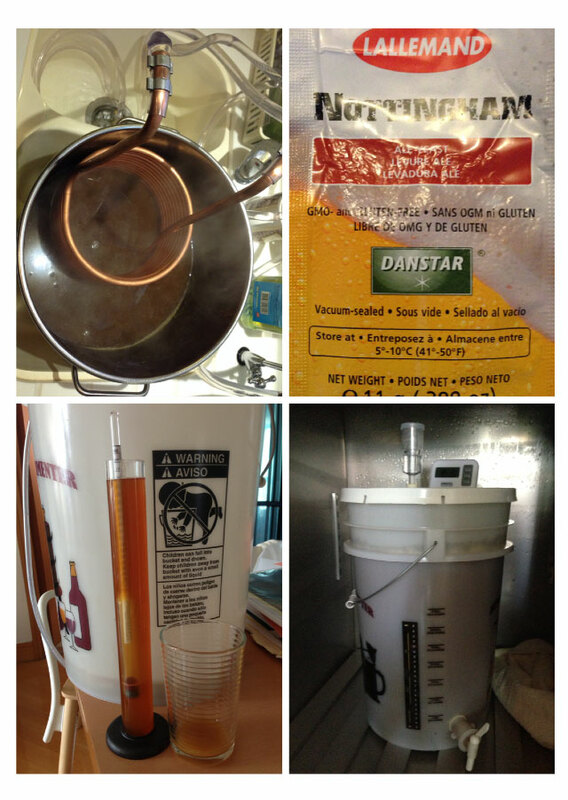 Transfer the beer into a clean carboy with a siphon. There is a thick layer of spent yeast at the bottom of the fermentation bucket. Leave it. Only transfer the beer. Cover with the air lock and we are done. Wait another two weeks and then we can bottle it up! Sanitize Everything! All equipment, bottles, caps and etc must be sanitized. Take the final reading. Boil water and dissolve the priming sugar. Cool down and add to the beer. Siphon the beer into bottles and seal them with caps. Let the beer condition for at least 2 weeks in a cool place before drinking.